I looked at Tilstock Park on the Shropshire / Flintshire border (Longitude 52.931698; Latitude -2.710032) outlining its history. This week I’m going to look in detail at some of the areas within the park which should provide archaeological information based on a map of c.1600. By placing the map of c.1600 side by side with a modern aerial photograph it is possible to see that the map is a very accurately drawn, suggesting that is has been derived from a surveyors measurements. In order to map Tilstock Park I used a programme called Grid Reference Finder http://gridreferencefinder.com to mark the boundary of the park, the location of the fish ponds, the location of the park lodges, the location of the ‘Green’ and the location of the park gates. The points marked can then by exported to the programme Google Earth. 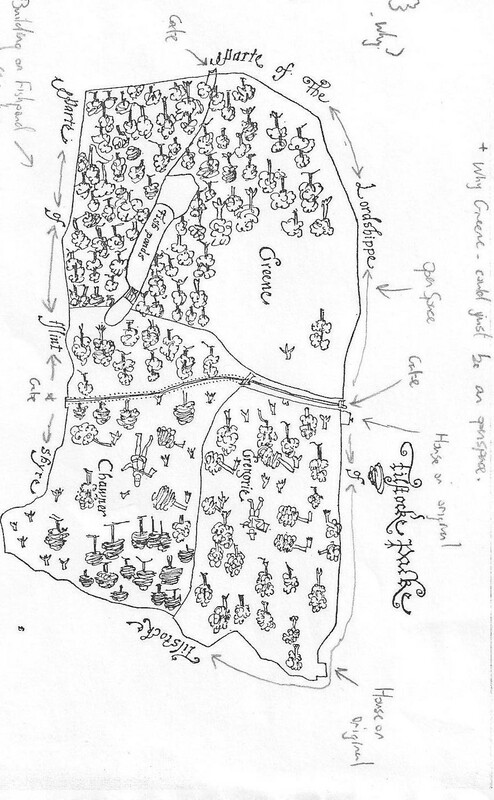 The finished map is presented below. Thank you for your inspiring presentation, and discussion comments, in Swansea at the end of last week I am Alison Elliott … the one who reads your blog. 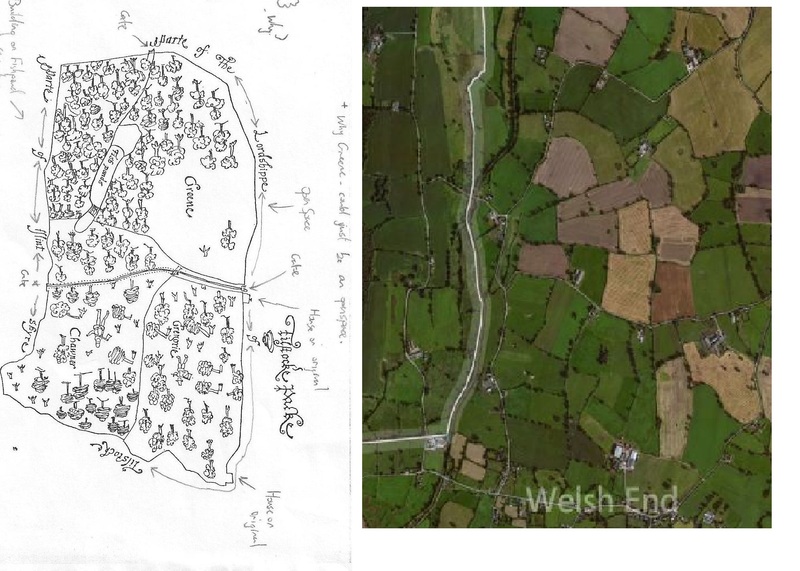 Thanks for offering to send me some pointers re Pembrokeshire in the middle ages. Your enthusiasm is so appreciated. All the best with your research.